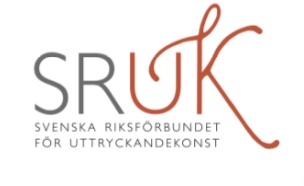 SRUK erbjöd i mars 2018 en unik workshop med Thomas Prattki, grundare och konstnärlig ledare för LISPA, London International School of Performing Art. Han var konstnärlig ledare vid Ecole Jacques Lecoq i Paris under 12 år. Numera verksam i Berlin. Som skådespelare har han turnerat världen runt med Munnenschanz, ett världsberömt sällskap som kombinerar rörelse, dockteater och bildkonst. Han har regisserat, undervisat och föreläst i över 30 olika länder på institutioner som Guthrie Theater i Minneapolis, USA, Aarhus Teater, Danmark och Ilkom Teater i Taschkent, Uzbekistan, bland många andra. För Thomas är det viktigt att vara transparent för livets stora händelser och hur de får resonans i våra kroppar och personliga liv. För dig som vill veta mer se http://www.lispa.co.uk/. ”This weekend workshop explores the idea of embodiment as a key element in the process of developing original work. Through use of the Neutral Mask, a cornerstone of LISPA’s teaching philosophy, participants are invited to make links between movement and emotion, life and art, the physical body and the poetic body. Participants will gain a deeper understanding of the essential dynamic forces within any art form, their vital function in the construction of artistic work, and how to apply them to dramatic creation. This workshop is designed for those practitioners interested in exploring physical and devised theatre”.